[b]A "Truly" Family Friendly Bed & Breakfast Lodge in the White Mountains of New Hampshire[/b] Welcome to the Old Field House, a comfortable country inn and lodging destination located in the White Mountain of Northern New Hampshire just outside of North Conway Village. We offer a variety of accommodations. Old Field House The Old Field House Inn offers the pleasant and personable experience of a Bed and Breakfast with all the amenities of a full fledged hotel resort. The FARM Luxury Vaction Townhouse Condos offers a quaint village setting and provides our guests with a townhouse condominium lodging option. The wonderful wooded setting includes large swimming pool and a village style common with Gazebo. The FARM Suites boast Fireplaced Jacuzzi Suites perfect for a romantic getaway or honeymoon. If you prefer a more secluded, rustic setting for your family or group vaction, the four bedroom Mountain Cabin comes complete with a kitchen, dining room and a large deck with jacuzzi and fire pit. The Old Field House offers privacy and comfort as well as atmosphere and community that you would expect from a traditional New England village in the mountains. We know what hospitality means and strive to make each of our guests feel the warmth of people who really care. If there is anything that we can do to make your visit to North Conway memorable please let us know. Call now or use our on-line reservation form to book the ultimate vacation in the White Mountains right here at the Old Field House. We look forward to hosting your stay with us.  The Old Field House Inn is a charming 20 room Family Bed and Breakfast Lodge with a "pajama comfortable" atmosphere only found where owners truly enjoy their work and their guests. Both families and couples will appreciate the wide variety of room options. We are just minutes to North Conway and Jackson villages, New Hampshire but located on the quiet scenic Intervale Resort Loop (Rt 16A), in the heart of the Mount Washington valley. We offer several different lodging options to meet your needs whether family, couple or traveling alone. We take great pride in the cleanliness of our Lodge and a member of our staff is always available to see to your needs. If you are celebrating a special occasion please let us know what we can do to make your celebration complete.